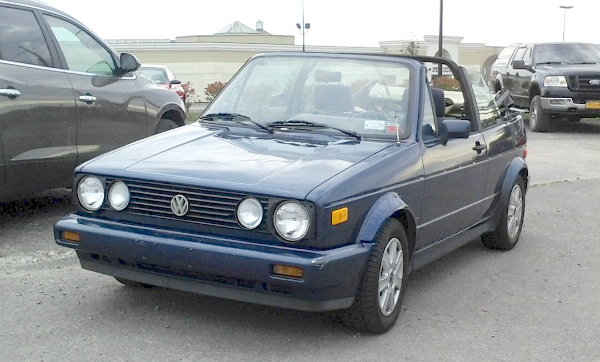 This 1992 Volkswagen Rabbit Cabriolet is from the first generation, or Mk1, of the Beetle’s successor, which was called the Golf in the rest of the world. It soldiered on until the Mk3 Golf was introduced in 1993 (there was no Mk2 convertible model). We came upon this blue one last week in Niagara Falls. Jim Corbran, RRofWNY …and check out our Facebook page: Un-American Classic Cars The post RealRides of WNY appeared first on Buffalo Cars.